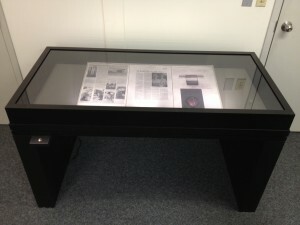 SmallCorp is proud to offer SmartGlass for exhibit cases. SmartGlass consists of two layers of museum quality glass with a layer of film between. The film switches seamlessly from dark to clear with the push of a button, or when activated by a motion sensor. Once activated, the glazing stays clear for a predetermined amount of time (controlled by you), then darkens to its original state. This allows conservators and exhibit staff direct control over the amount of heat and light entering your case. 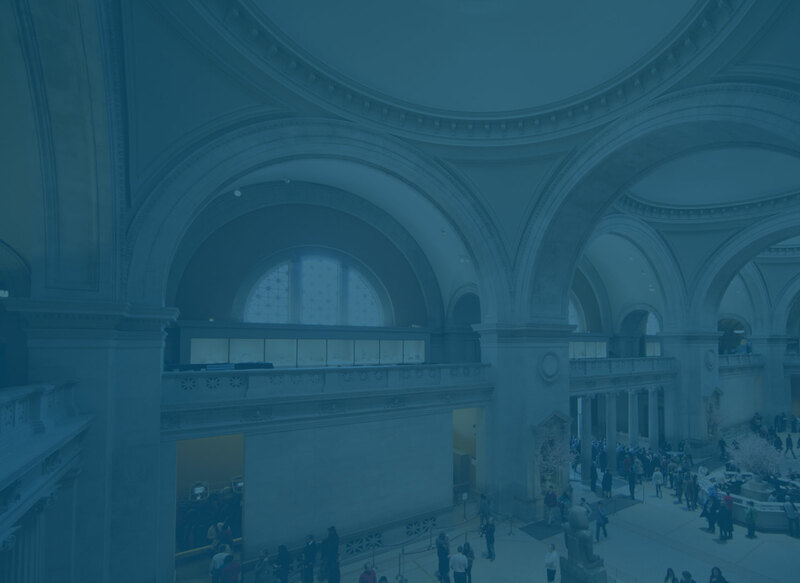 An on-board counter will track the amount of light exposure over the course of an exhibit. The glazing blocks 99% of UV light at all times. When dark, it blocks 98% of visible light. In its “clear” state it still blocks 35% of visible light. 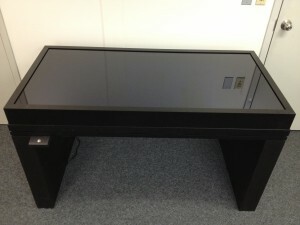 For this reason, we add LED spotlights inside cases with SmartGlass glazing. This counteracts the residual light blockage and enhances the viewing experience. While this does mean more light exposure for your object while the lights are on (brief periods), this is counteracted by greater light protection while the lights are off (most of the time). The result is a secure case that provides maximum protection against light exposure. This material can be used in wall cases, tabletop and freestanding cases. The glazing panels do require wiring on the edges, and mullions or angles to hide the wiring. This means that four and five-sided vitrines can not be seamless; they require framing at all corners. More typical is a case with a single viewing window treated with SmartGlass.